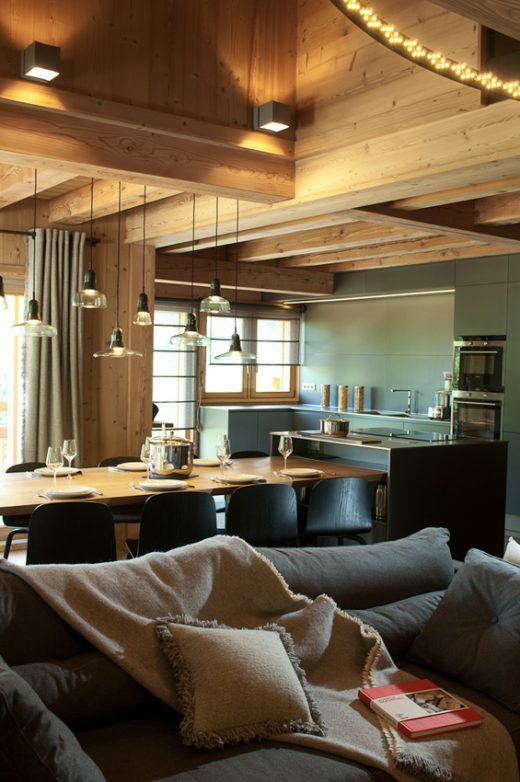 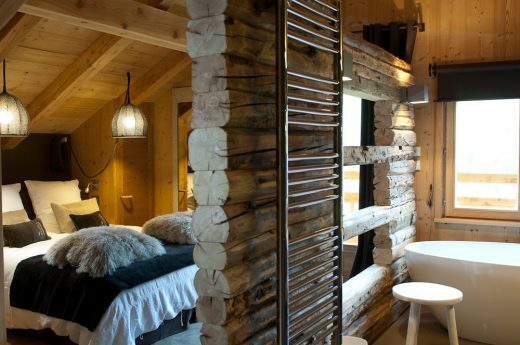 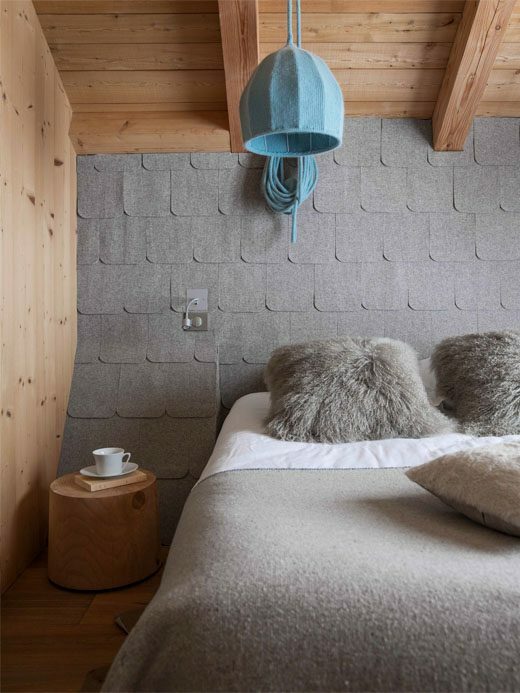 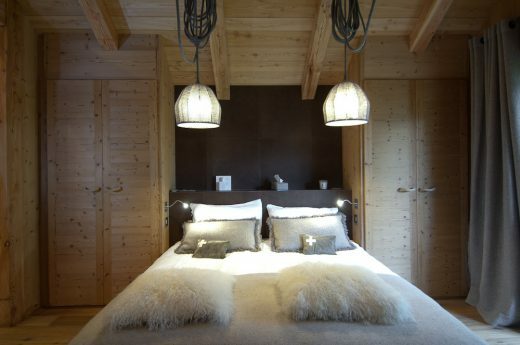 ‘In an ideal alchemy between pale wood, metal and wool this cosy chalet reflects the spirit of the mountains, achieving the summit of elegance without the usual decorative “folkloric” clichés’. 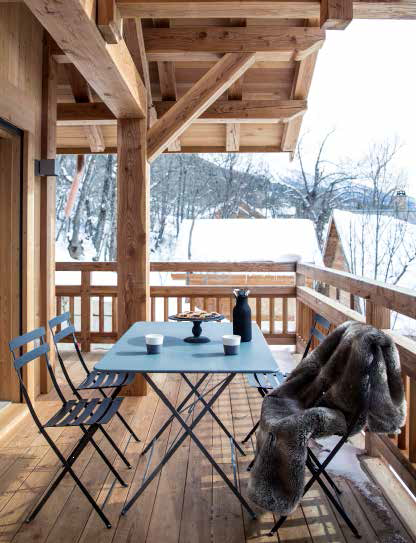 Marie Claire Maison- January 2016. 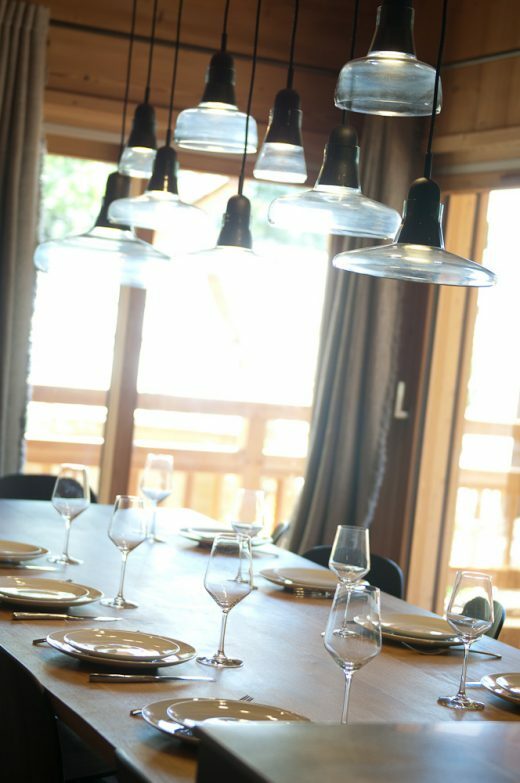 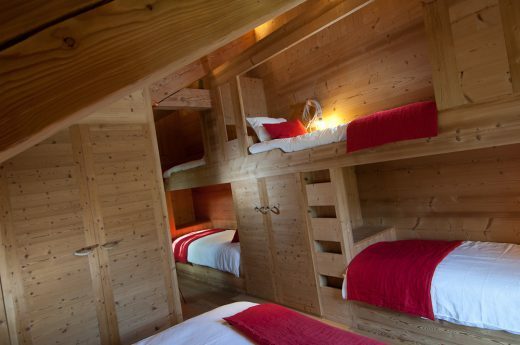 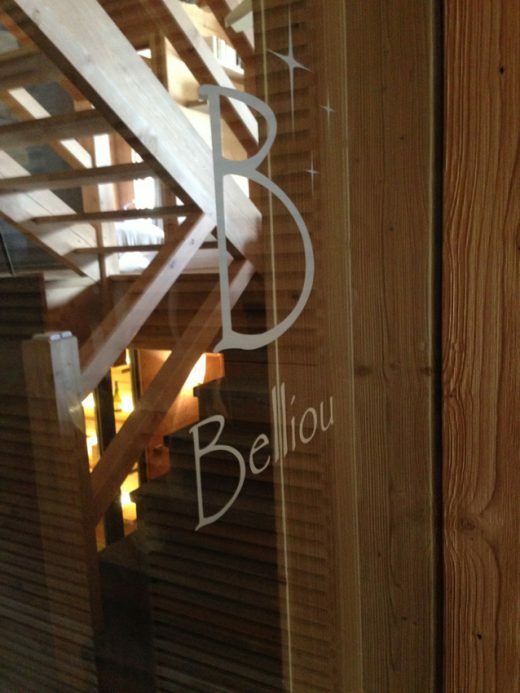 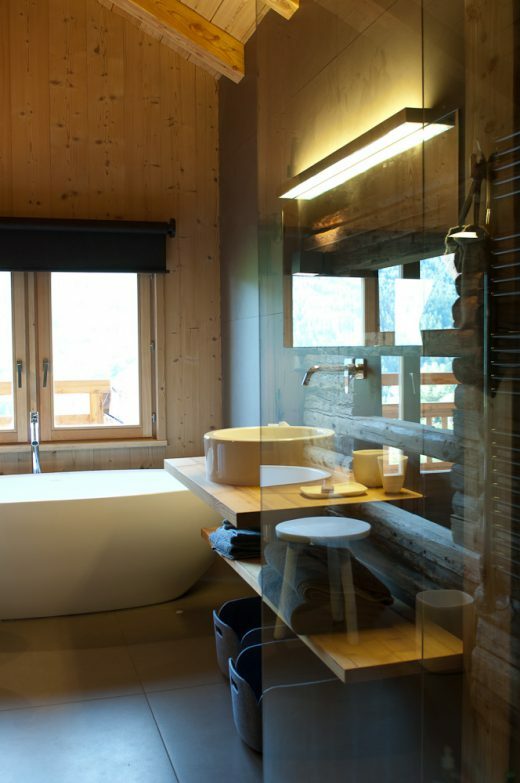 Although from the outside it looks fairly similar to neighbouring chalets, the interior of Chalet Belliou is designed with warmth and simplicity to suit the convivial life of the family with their four children and numerous friends. 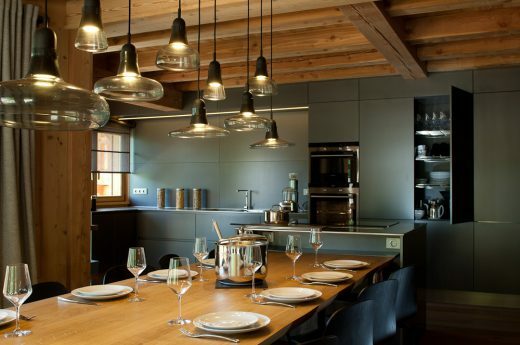 An enthusiastic cook, the mistress of the house enjoys a glass of wine with friends around the kitchen’s island unit which cleverly extends to form a large oak dining table. 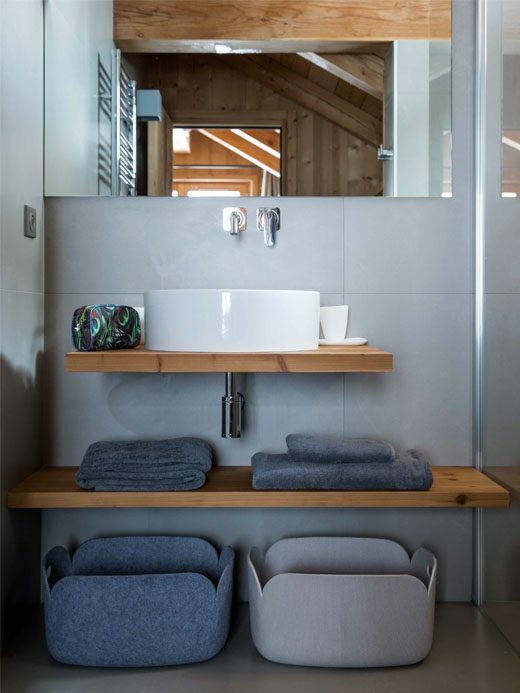 From here, the natural meeting place at the heart of the many levels and half-levels of the house, life gravitates to an open plan living area with the fireplace at its centre. 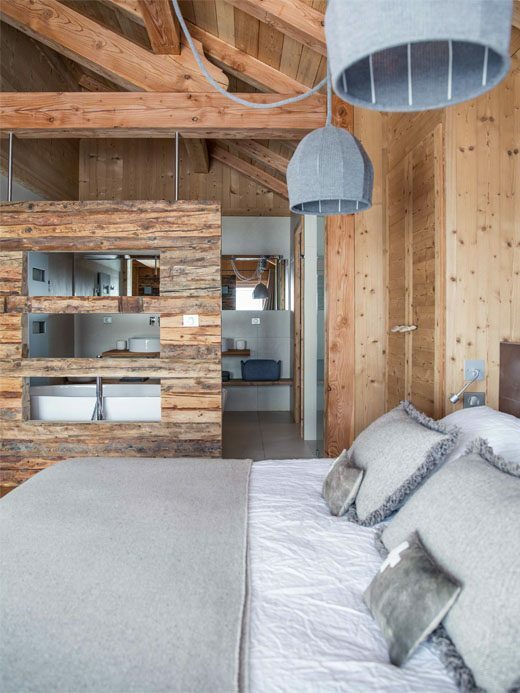 The bedrooms, furnished in organic wool and felt with natural leather to soften the wood and steel finishes, are warmly welcoming with large windows to bring in light. 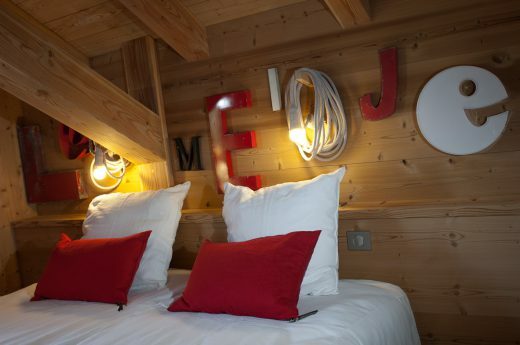 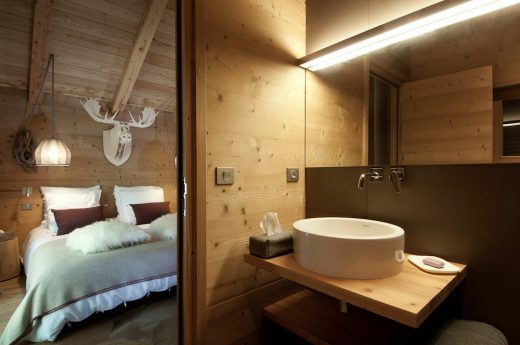 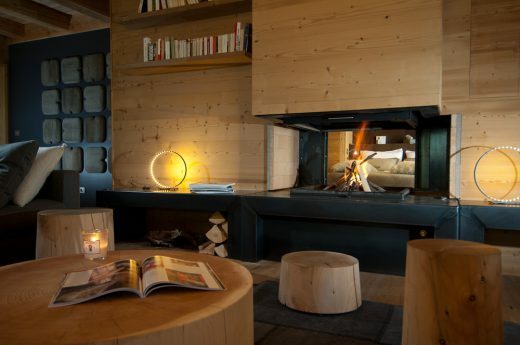 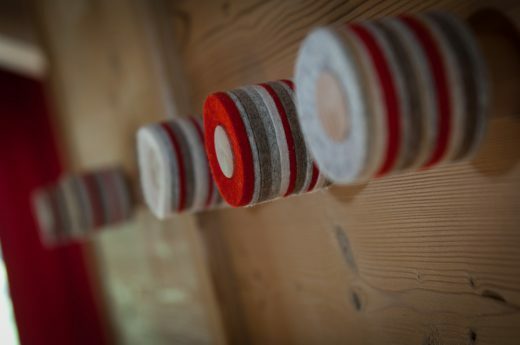 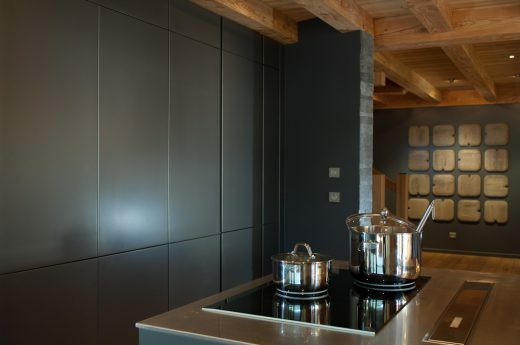 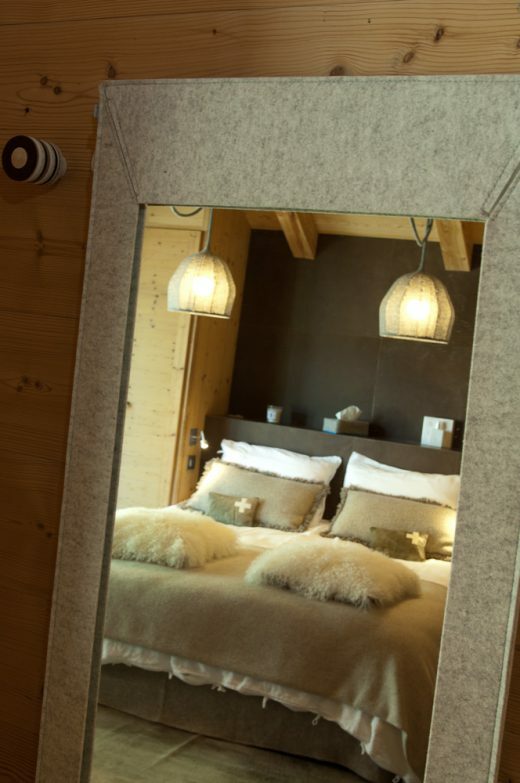 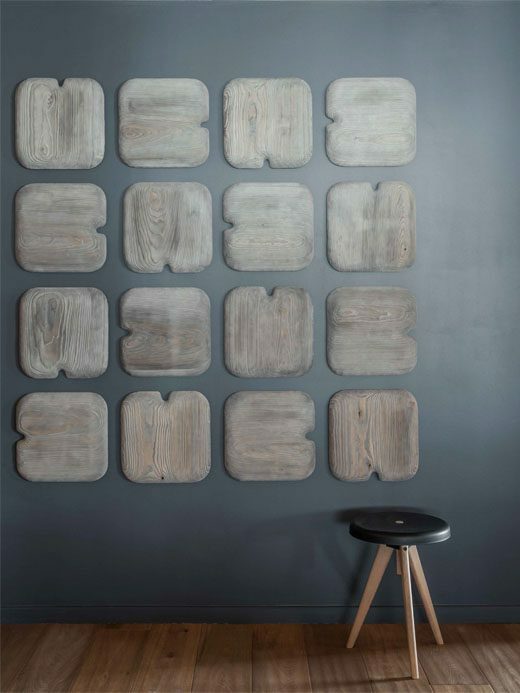 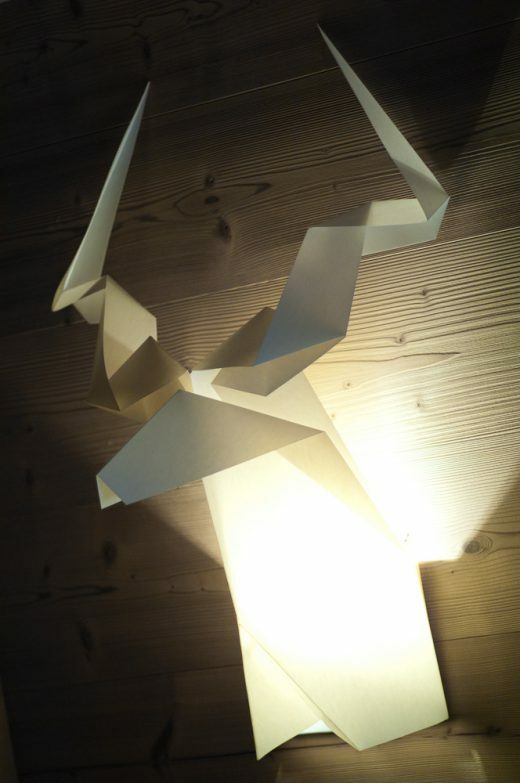 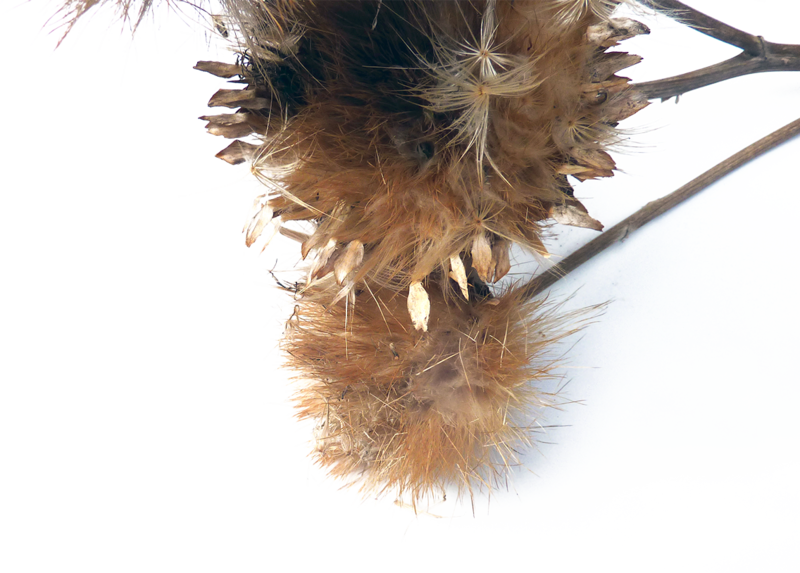 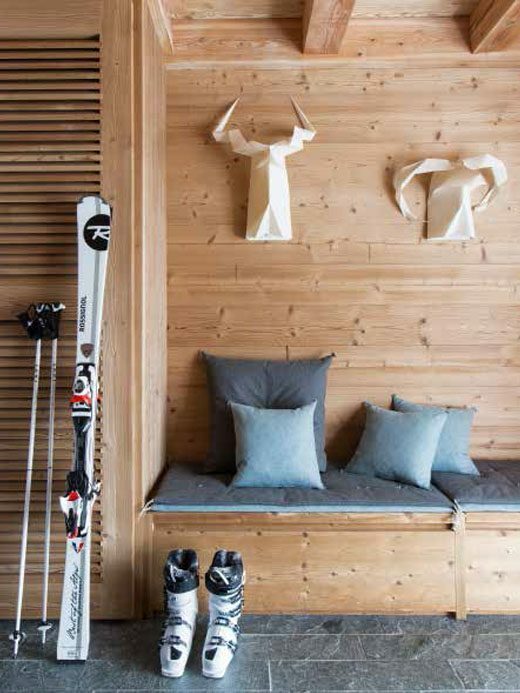 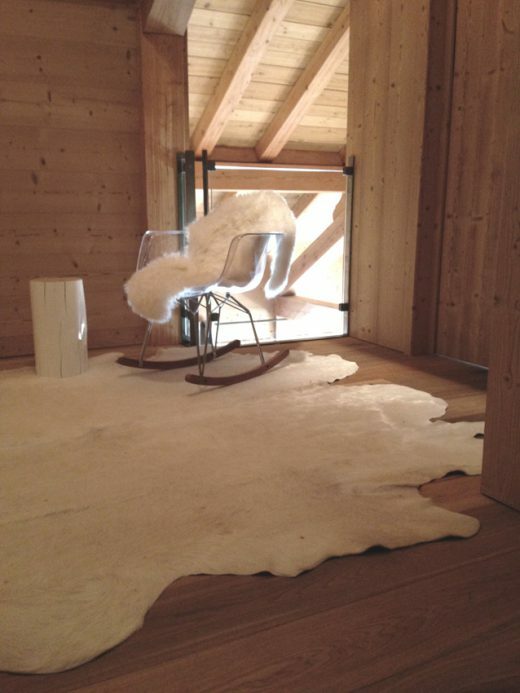 Says Angélique,”The style notebook I developed for this chalet was based on traditional skills underlying contemporary style to reflect the convivial and comfortably chic personalities of the owners”.